The Experimental Garden can be found on page 35 in Gardening from a Hammock. Balancing work, a large family, country and city homes and gardens is no easy task, but Master Gardener Lindsay Dale-Harris does it all with a great sense of humour and fearlessness. She is always taking courses, getting inspired and re-inventing her gardens. “A failure is an opportunity to try something new again,” explains Lindsay. She is former President of the Toronto Botanical Garden, past Chair of its Capital Fundraising Campaign and sits on its finance committee. Lindsay also volunteers to organize out-of-town tours for the TBG. 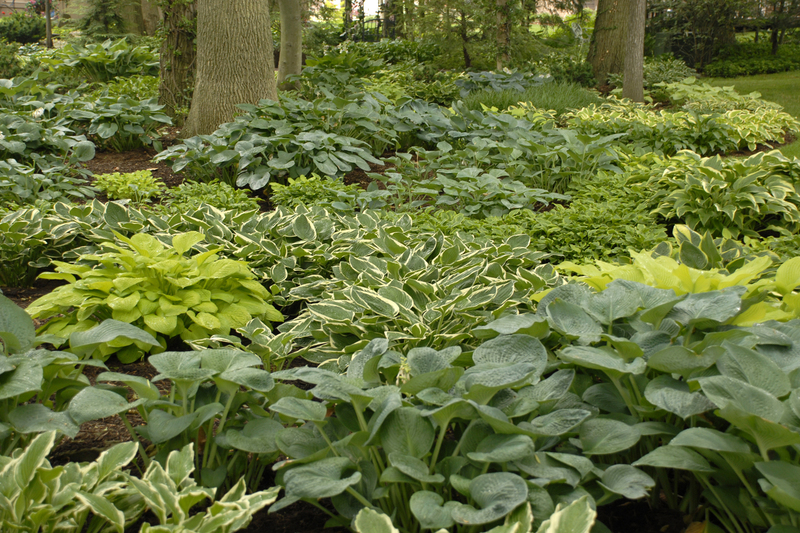 Leaf shapes, sizes, various shades of green and textures of the hostas combine to create drama and depth in the shade garden.